CHICAGO! 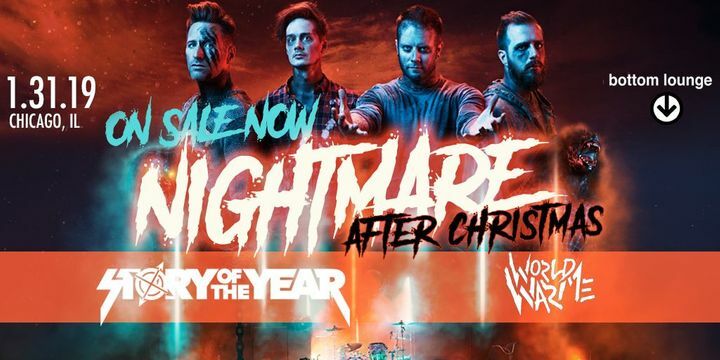 Get your tickets NOW to catch us with Story of the Year on 1/31 for the Nightmare After Christmas at Bottom Lounge! Track to know when World War Me is playing near you.